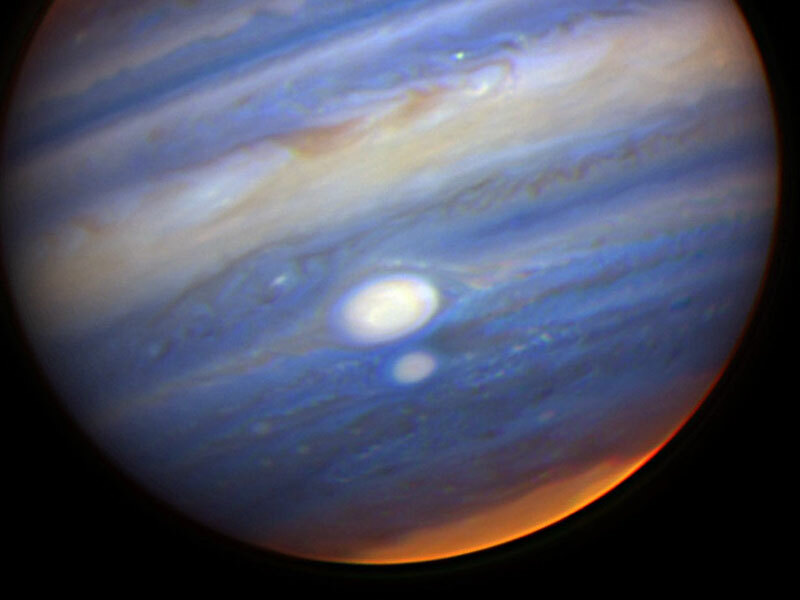 Explanation: Two storms systems larger than Earth are nearly colliding right now on planet Jupiter. No one was sure what would happen, but so far both storms have survived. In the above false-color infrared image taken last week by the Gemini Observatory in Hawaii, the red spots appear white because their cloud tops tower above other clouds. Blue color represents lower clouds than white, while clouds colored red are the deepest. 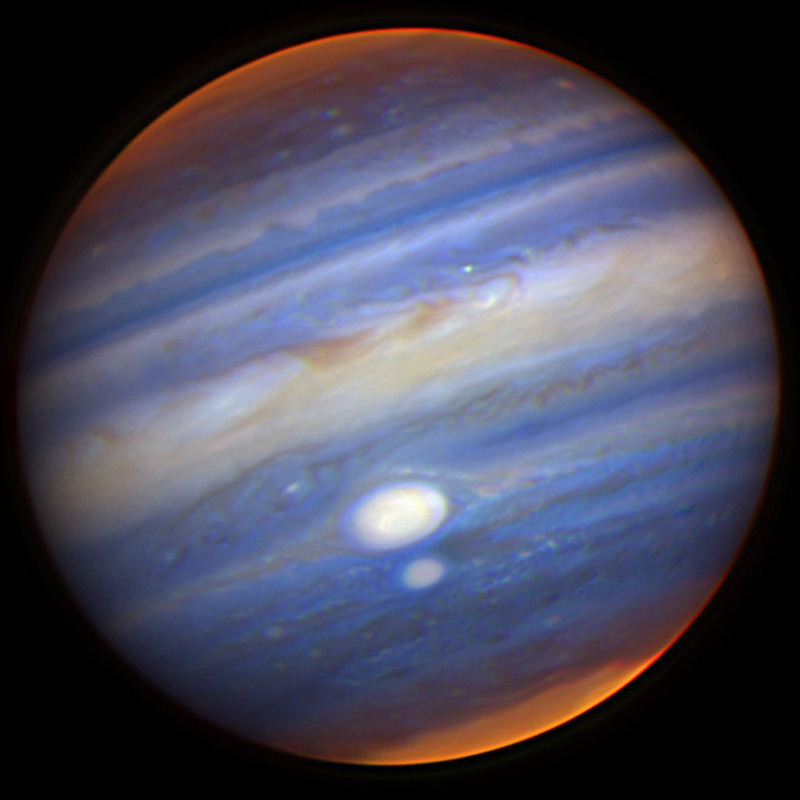 The smaller red spot, sometimes called Red Spot Jr. or just Oval BA, turned red earlier this year for reasons unknown. If both Jovian hurricanes continue to survive, they will surely pass near each other again in a few years since they revolve around Jupiter at different rates. Astronomers will continue to monitor Red Spot Jr. closely, however, to see if it will remain red when it rotates away from the larger Great Red Spot.